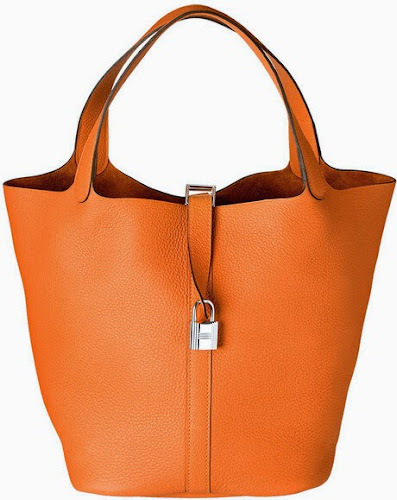 Hermès Picotin's Lock name? A “picotin” is a peck, being a quarter of a bushel, long the standard measure of grain. Picotin Lock's shape? Inspired by a nosebag, which was fixed, as its name indicates, to the nose of a horse or mule so that it could continue walking as it ate its oats. The Hermès Picotin Lock is simple and functional, with raw edges and no lining, precious little stitching, it stands securely on its four metal feet. Its fastener does however enable us to squirrel away our treasures in its fold – to hide our light under a (quarter-) bushel.